The Suzette Lined Empress Swag features a spaciously drawn "flower and vine" pattern painted in tones of cape blue, julep green, and buttercup yellow, on a crisp ivory background. One pair of swags will cover windows from 36" to 60" in width. 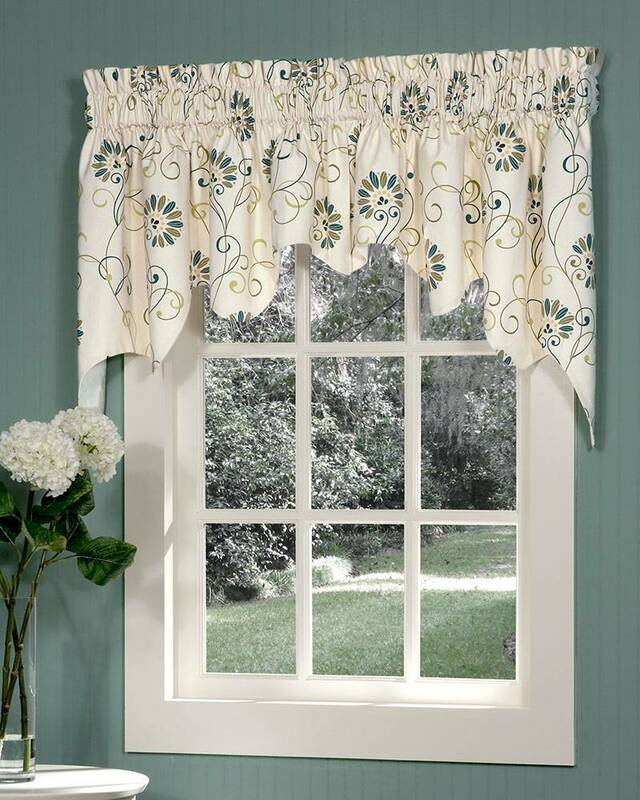 For wider windows, and for multiple windows that are being treated as one window, combine with Suzette Lined Empress Filler Valances (sold separately) - insert filler valances between the right and left swag panels. Fully lined and handcrafted in the USA.